Cindercast: What is that sound coming from behind the oyster shell? What is that sound coming from behind the oyster shell? I'll have to finish this panel for you to find out. 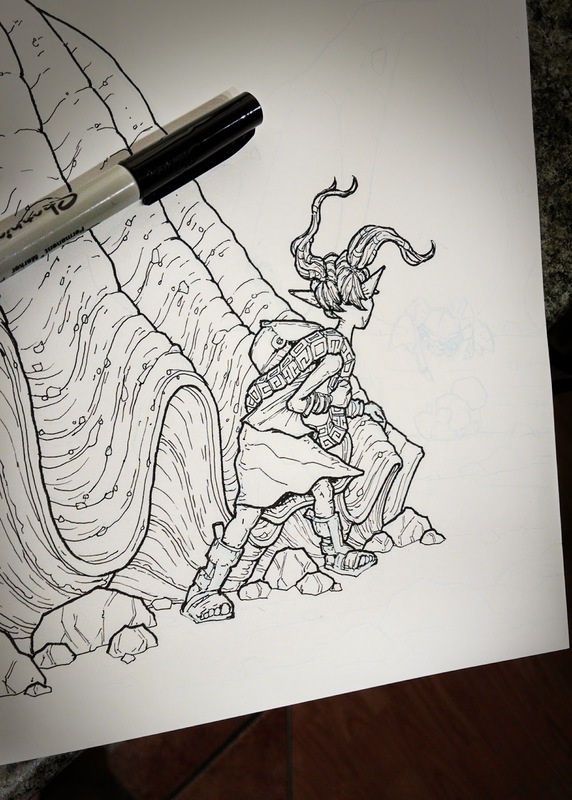 It finally feels like I'm making progress on the art, switching back to pen and paper has sped things up considerably. Inking of this panel is done.